Born in Vidalenzo near Busseto in Italy on 13 July 1924, Carlo Bergonzi studied with Edmondo Grandini after an audition at the age of 14 when Grandini was performing in Busseto. Grandini trained him as a baritone, having decided this was the true nature of his voice. Their studies were interupted by the onset of the second world war and imprisonement in a German prisoner-of-war camp for anti-Nazi activities. When the war ended and he was released, he returned to Italy and began studies at the Boito Conservatory in Parma, and after graduation, further studies with Ettore Campogalliani. His professional debut came in La Boheme as Schaunard in 1947, at the age of 23, and as a lead in Rossini’s Il Barbiere di Siviglia, as Figaro, at Lecce in 1948. A third debut came in Bari in 1951 after a period in which he retrained the voice, in which he appeared as Andrea Chenier, now as a tenor. The same year the Italian Radio celebrated the 50th anniversary of Verdi’s death and engaged Bergonzi for a series of broadcasts of the lesser-known Verdi Operas. In 1953 he made his La Scala debut creating the role of Masaniello in Napoli’s opera and his London debut as Alvaro, his American debut at the Lyric Opera of Chicago in 1955, and his Met debut the following year. 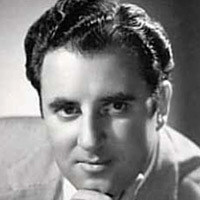 His Covent Garden debut, again as Alvaro, was not until 1962. Essentially a lyrical voice, he nevertheless made great verismo interpretations as do betray his recording of I Pagliacci with von Karajan in 1966. However, he came to be considered the foremost Verdi interpreter of his time, with an extraordinary ability to control lenghty and expansive phrasing, a model to which other tenors turned. Bergonzi continued to sing throughout the 60’s at 70’s at all the major opera houses, and left the opera scene during the 80’s to concentrate more on doing recitals. Now he has retired and is most likely to be seen in his restaurant in Busseto, Il due Foscari.